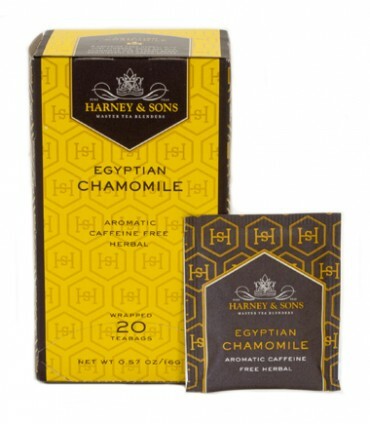 Egypt provides Harney & Sons with the finest chamomile flowers of which we use only flower heads – no extenders. This produces a tisane with definite body. Four tins per box. Twenty tea bags per box. Each teabag brews a 6 to 8oz cup of tea.